Good news, ladies and gentlemen! I have decided to devote an entire column to the Maserati Ghibli, which is a highly expensive new luxury sedan that offers roughly the same level of actual luxury as a floor lamp. 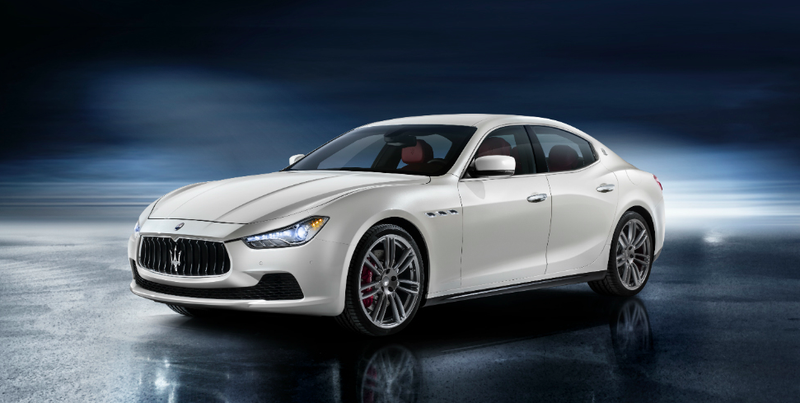 Yes, it’s true: over the next several hundred words, I’m going to say several mean things about the Maserati Ghibli. (Pronunciation: “GEE-BLEE.” Nickname: “Gibbles and Bits.”) If you are a Maserati fan, I suggest you get out now, or at least start an angry thread about me over on the Maserati forums. I’m going to begin in a place where Maserati’s designers and engineers clearly didn’t: the car’s equipment levels. Before writing this column, I devoted considerable time researching this issue (approximately nine minutes, while I was on the toilet) and I’ve reached the conclusion that Maserati equipped this car in the following way: First, they carefully examined each and every rival, to see what their competitors were offering. And then they didn’t include any of that stuff. For an example of what I’m talking about, I turn to safety features. I also turn to the BMW 5-Series, which is dramatically better than the Ghibli despite going on sale five years ago. These two cars are rivals in the same way that Ethan Allen is a rival to the furniture aisle at Wal-Mart. Here’s what I mean: even though the 5 Series is one of the oldest cars in this segment, it still has everything. It has a parking camera that gives you a top-down view of the car and a look at the sides. It has forward collision alert with automatic braking. It has a blind spot monitor. It has a full-color heads-up display. It has a lane departure warning system. It has an automated parallel parking assist feature. It has night vision, for God’s sake. Do you know what tops the Ghibli’s list of safety features? A backup camera. Yes, folks, that’s right: the 5-year-old BMW 5-Series is cruising around with technology they have on nuclear submarines. And the most exciting safety feature in the “newly released” Ghibli is something that the federal government is mandating in two years anyway. Ghibli: Er… look over there! I could do these for hours. I could harp on about how the E-Class offers automatically adjustable seat bolsters that hug you in the corners, and the Ghibli doesn’t. I could talk about how the E-Class offers a feature that’ll open the trunk when you slide your foot under the bumper, and the Ghibli doesn’t. I could mention that the E-Class has automatic high beams, and the Ghibli doesn’t. I could mention that the E-Class has a feature that’ll let you know if someone’s coming when you’re backing out of a parking spot, and the Ghibli doesn’t. And I wouldn’t be alone in this complaint: Motor Trend, Cars.com and a newspaper reviewer all said the same thing. I could also mention powertrain choices. I could talk about the fact that BMW offers a hybrid, a diesel, a 4-cylinder, a 6-cylinder, a regular V8, and a high-performance V8, while the Maserati is saddled with merely two engine options: a turbocharged 3.0-liter V6, and a slightly more powerful version of that same turbocharged 3.0-liter V6. Yes, it’s true: I could talk about all this stuff. But I won’t, because I don’t want to embarrass the good people at Maserati North America, who are currently trying to see if they can offer the Ghibli in July for $299 per month and nothing down. Speaking of deals, here’s the Ghibli’s biggest problem: it isn’t one. Consider this: a base-level 5 Series starts right around $51,000 with shipping. Likewise, the E-Class starts around $53,500 including destination. So what does the Ghibli cost? The Ghibli, with its tiny dealer network and its unproven reliability? The Ghibli, a hopeful newcomer to a highly competitive segment with dozens of established competitors? The Ghibli, with far less features and equipment than its rivals? That’s right: $71,000 with destination. And for that money, you get a 345-horsepower V6, rear-wheel-drive, and optional steering column shift paddles. Spend seventy-one grand on a 5 Series and you could have a 445-horsepower, V8-powered, all-wheel drive, top-of-the-line 550i xDrive — and you’d still have enough money left over for a) a vanity plate that says “MASER LOL”, and b) a new refrigerator. Now, in the past, we’ve all known that the Italians didn’t exactly offer the very best value on the market, but we’ve sort of ignored it. For instance: the Ferrari F430 didn’t have side airbags, even though the Koreans were installing them in cars that cost nine grand back when Chandler and Joey were still roommates. The old Quattroporte had a navigation system that was about as useful as asking for directions from a old blind Italian woman who didn’t speak any English. In fact, she may have been the lead engineer. But this was fine, because these cars were Italian, and this was part of the charm. So we ignored the flaws, and we prattled on and on about how good these vehicles sound, and how fun they are to drive, and how much character they have, largely because we were so excited that the Italians gave us a press car in the first place. But here’s the thing: this time, we can’t ignore Maserati’s flaws. Over the last few years, they’ve added dozens of new dealers all across the country. They’ve ramped up production dramatically. And they’ve set a sales goal of 50,000 units by the end of 2015, up from 6,200 in 2012 — an eight-fold increase in just three years. In other words: Maserati wants to be “one of the guys” in the luxury car world; one of the main players; one of the top choices, rather than just some fringe brand that’s only considered by people who plan to let their estate worry about the depreciation. So have they succeeded? Have they created a world-class luxury car? At a competitive price? With competitive equipment? And a competitive dealer network? That would be: no, no, no, and no, respectively. What they’ve done is they’ve given us a nice $40,000 car with a $30,000 badge on the front. And you don’t need BMW Night Vision to see that.